Our nominated charity for 2019 is the fantastic Waikato Sunrise Rotary Club. Waikato Sunrise Rotary is one of six Rotary clubs in Hamilton, all committed to supporting the communities we live in. Rotarians are business, professional and community leaders applying their time and talents to addressing some of the toughest challenges in our communities. The 50 members of Waikato Sunrise volunteer in hands on roles and also work hard to raise funds to support local community organisations doing good - here in our own neighbourhood and also in neighbourhoods around the world. As Rotarians we understand that each community has its own unique needs and concerns. Through our network of resources and partners, we focus our service efforts in promoting peace, fighting disease, providing clean water, saving mothers and children, supporting education, and growing local economies. Waikato Sunrise is excited about the opportunity of working with Balloons Over Waikato to raise money for this year's nominated cause, KidsCan. We are delighted to be partnering with Waikato Sunrise Rotary who will provide in excess of 150 volunteers for the event. TXT 4644 to make a quick and easy $3 donation to KidsCan Waikato! 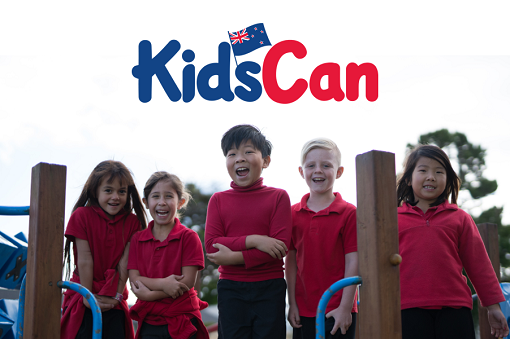 KidsCan provide Kiwi kids in need with food, clothing and health items at school, so they can get into the classroom in a position to learn. KidsCan does this because we believe that education equals opportunity, and all children, regardless of their social economic background should have an equal chance. Hungry, wet, cold and stressed is no way to start the school day (if it doesn’t stop them from getting to school) but for over 290,000 Kiwi children living in hardship that is the reality. This can impact their educational growth and lead to a lifelong pattern of underachievement. There is a way to break this cycle; by providing simple things like food, shoes, socks and raincoats, kids can arrive at school ready and able to learn. Our practical programmes ensure a greater number of disadvantaged New Zealand children are able to achieve good educational outcomes and reach their full potential. KidsCan are proud to be Waikato Sunrise Rotary’s nominated charity to receive the funds raised at Balloons over Waikato. These funds will go towards KidsCan’s support for schools in the Waikato region.